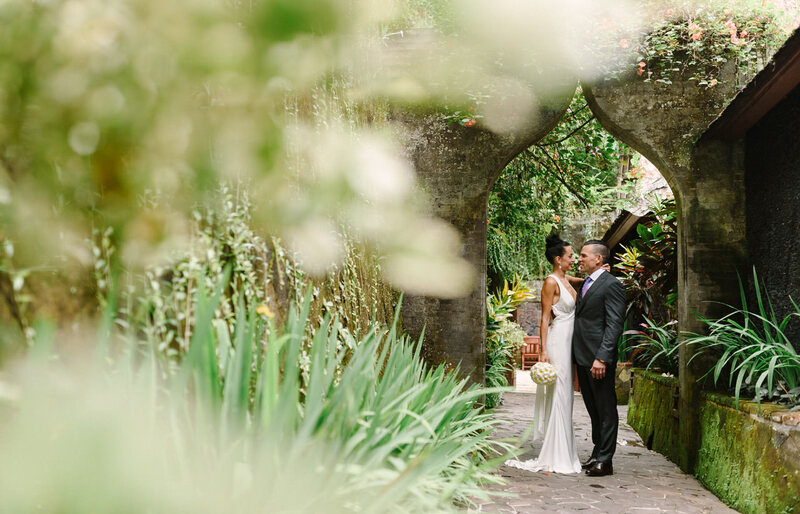 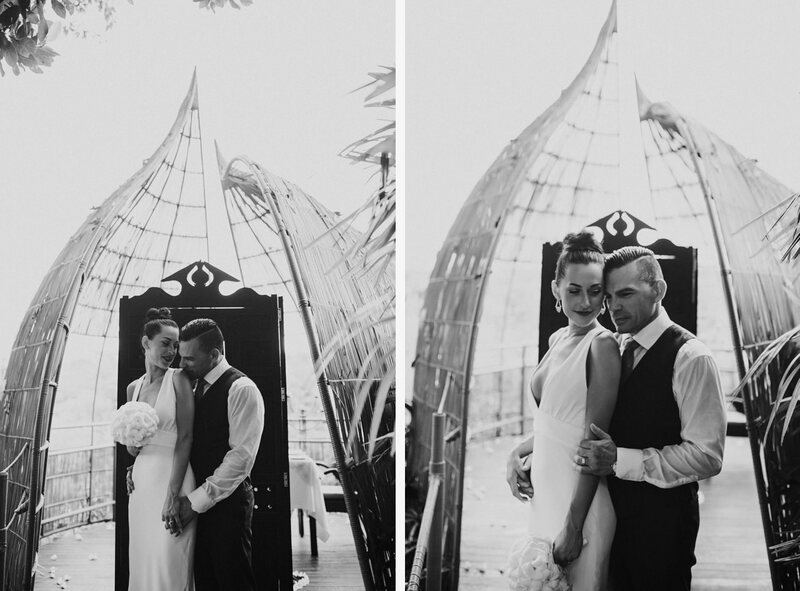 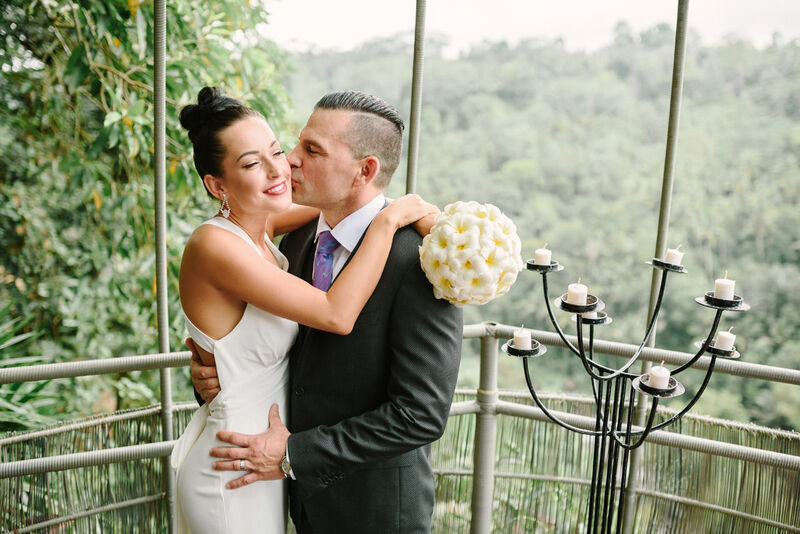 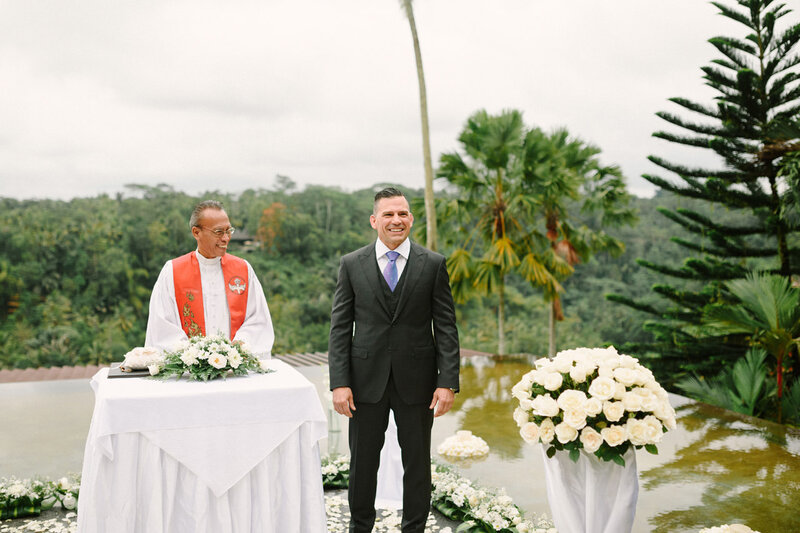 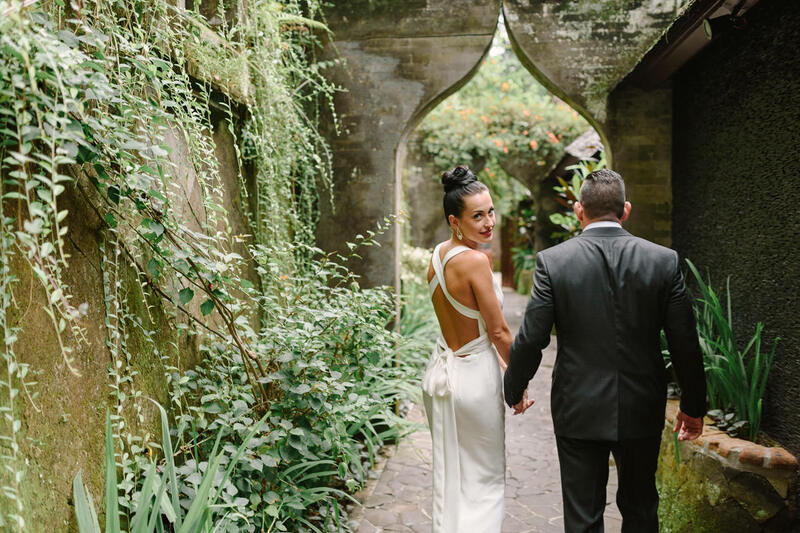 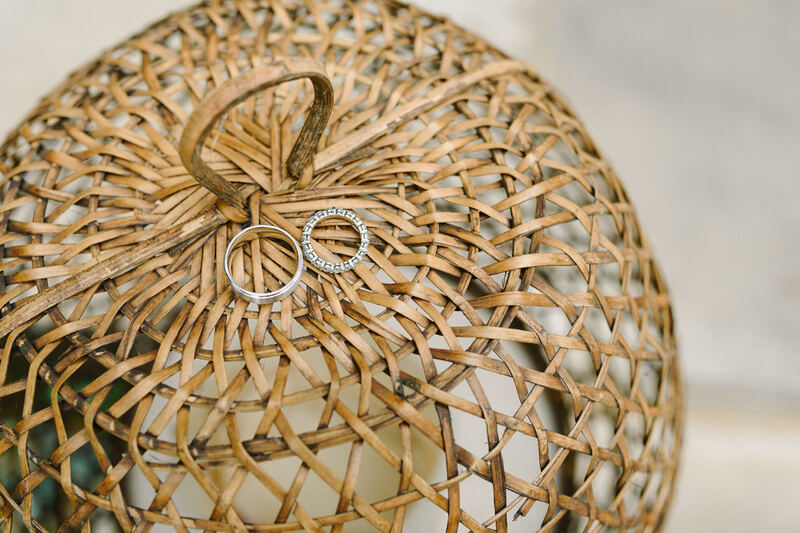 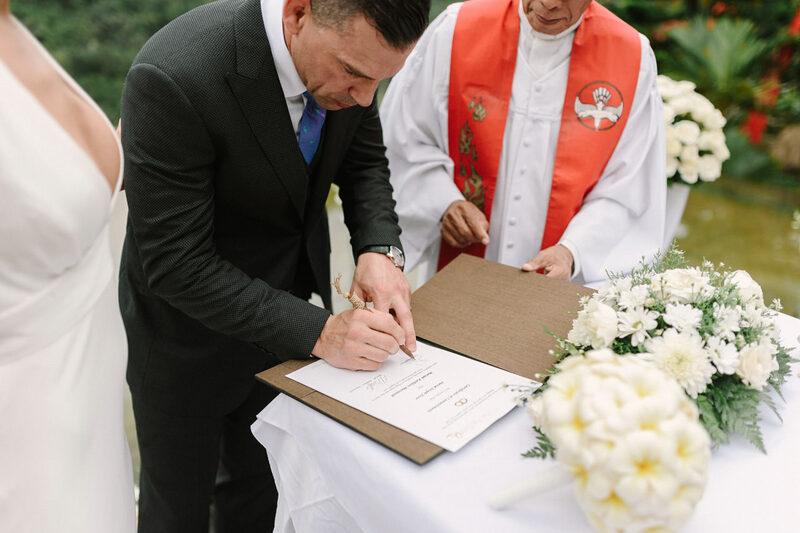 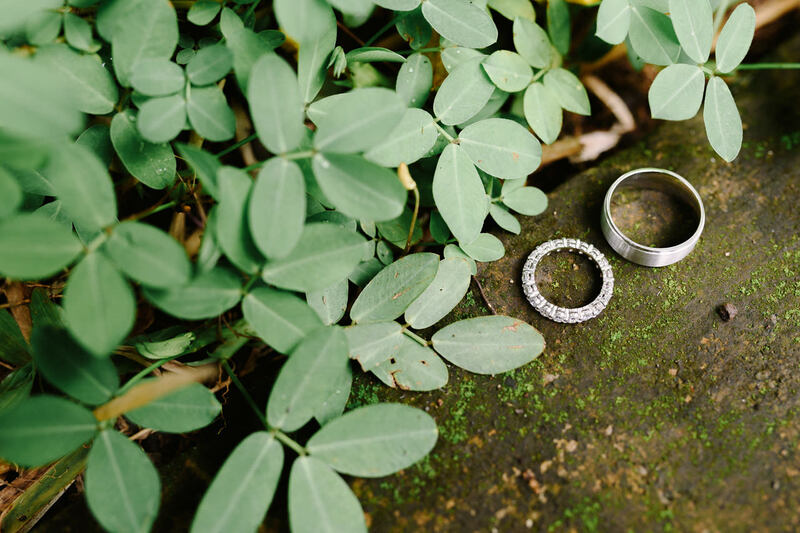 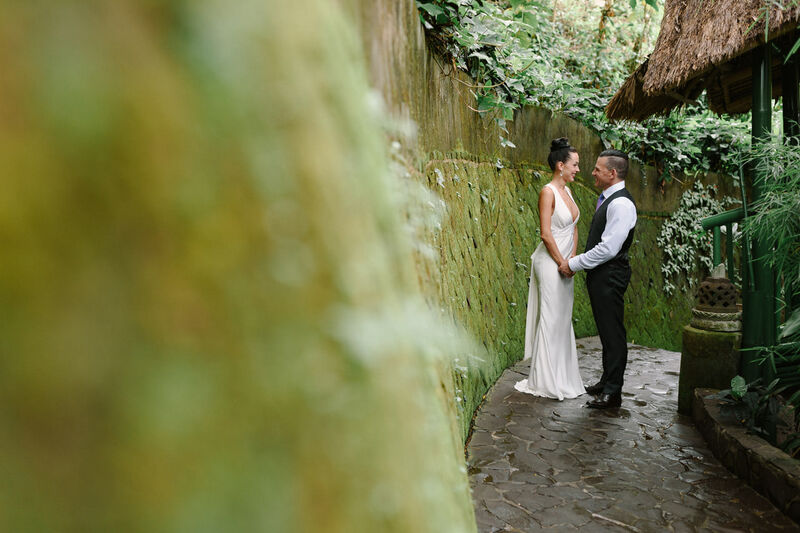 Arrayed over lush tropical greenery, Mariah & Dave finally had their Bali Wedding at Kupu-Kupu Barong Ubud, to bring Ubud’s serenity, spirituality and the quintessential Ayung Valley experience. 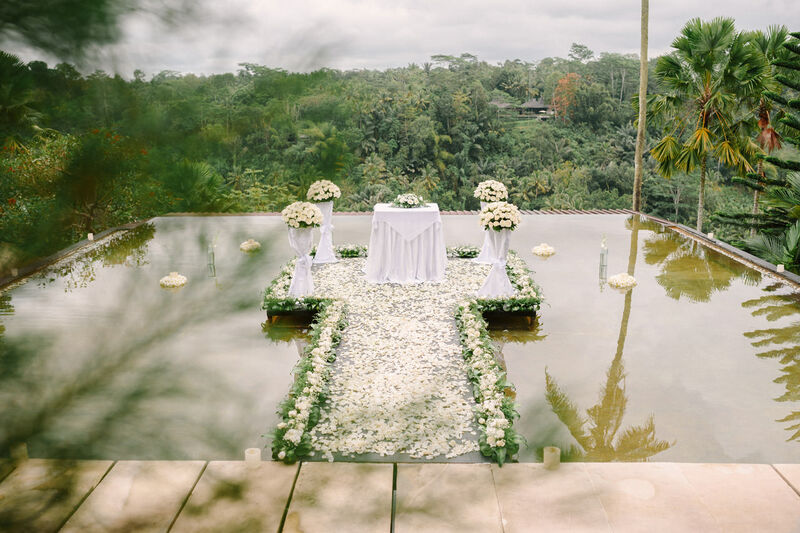 Imagine a timeless place, halfway to heaven, set in a magical forest high above a river born on the slopes of sacred Mt Agung, and named for the exotic butterflies that flit through mist-wreathed valleys and flutter above shimmering rice terraces. 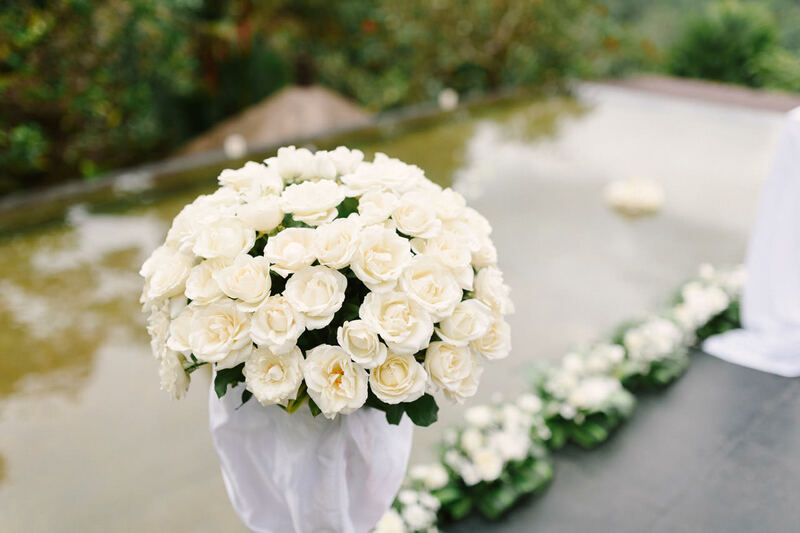 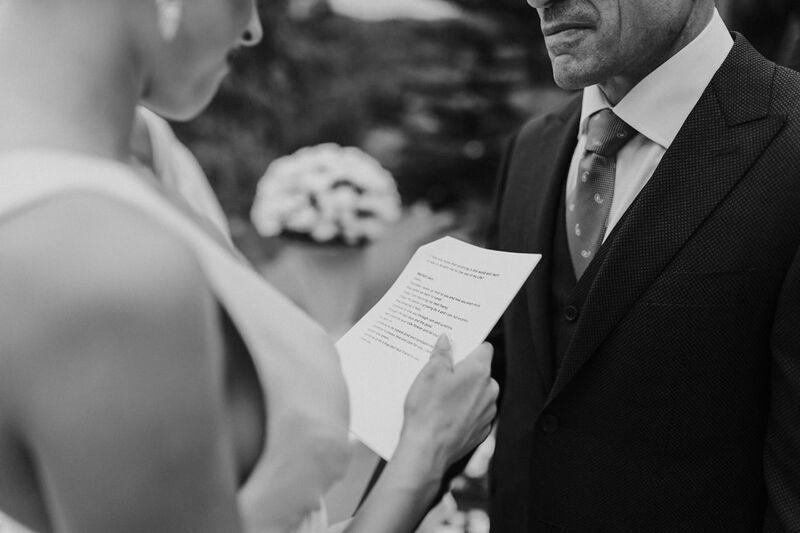 If you ready to tie the knot with your loved one, congratulations! 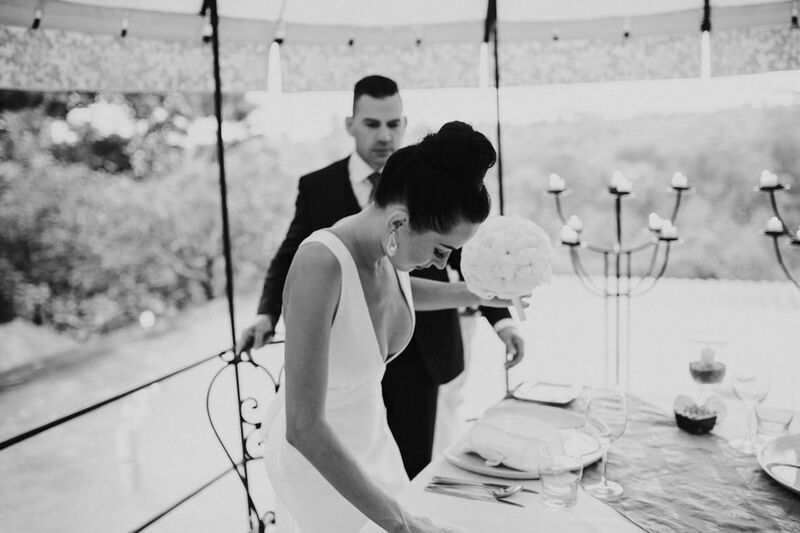 Heard about all the stunning celebrity weddings but thought too out-of-reach? 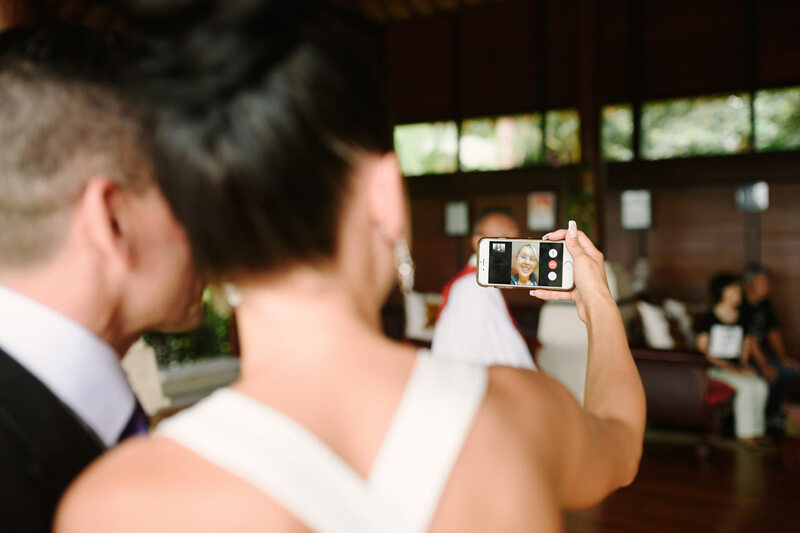 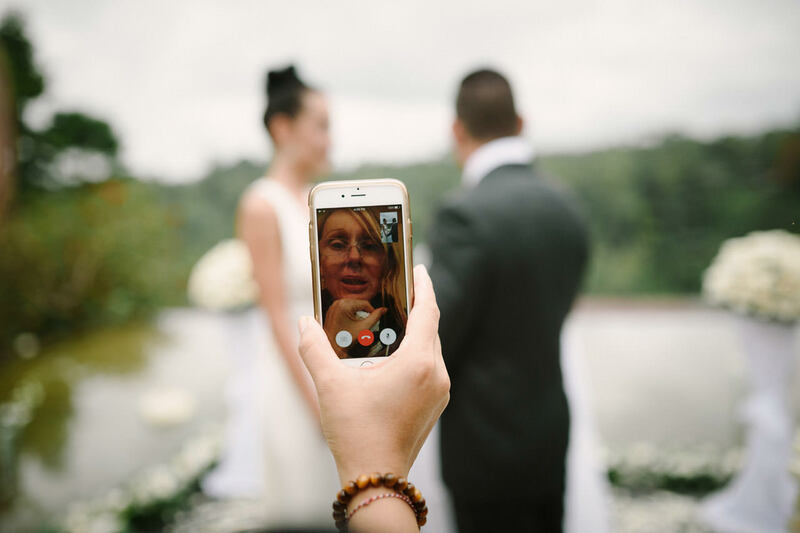 You can too play with the idea to have your wedding in Bali! 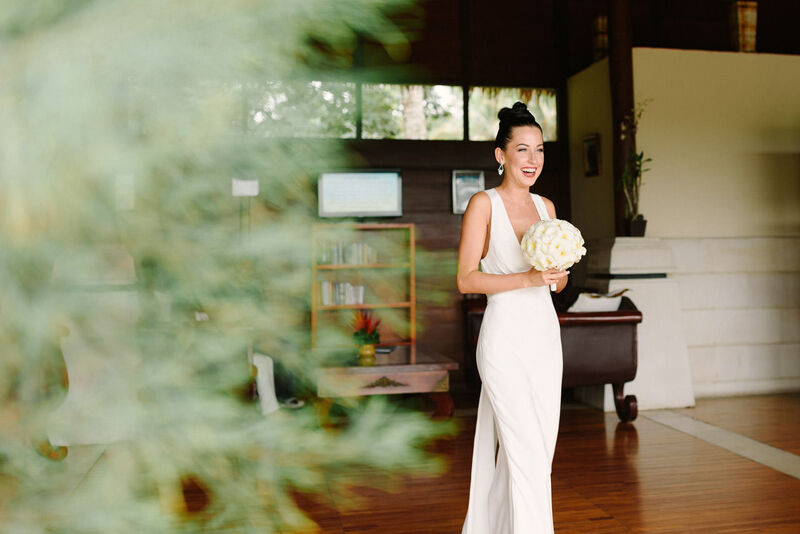 This island offers something for everyone and every budget. 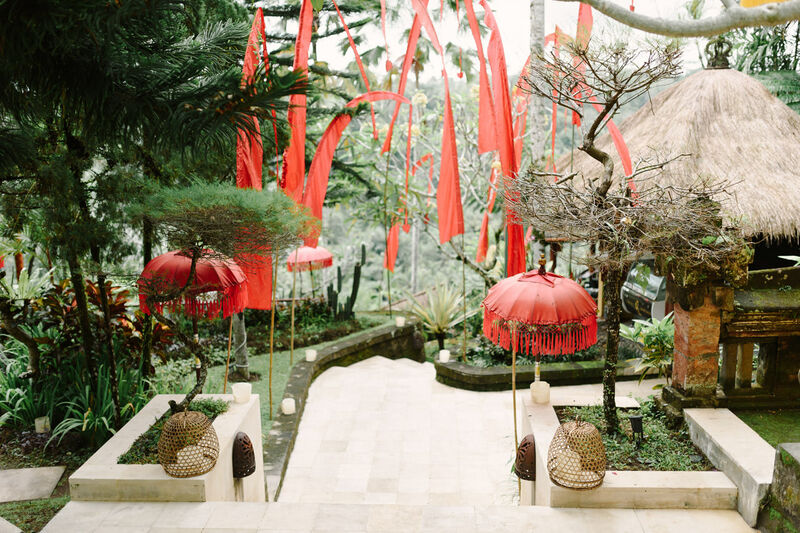 Why have a wedding in Bali? 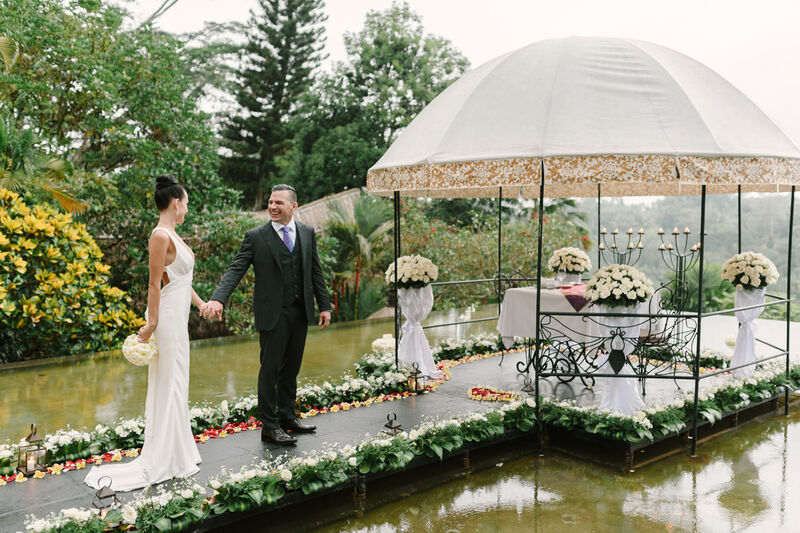 The many girl’s Dream Wedding with all imaginable extras and an extravagant set up is still available at an affordable price here! 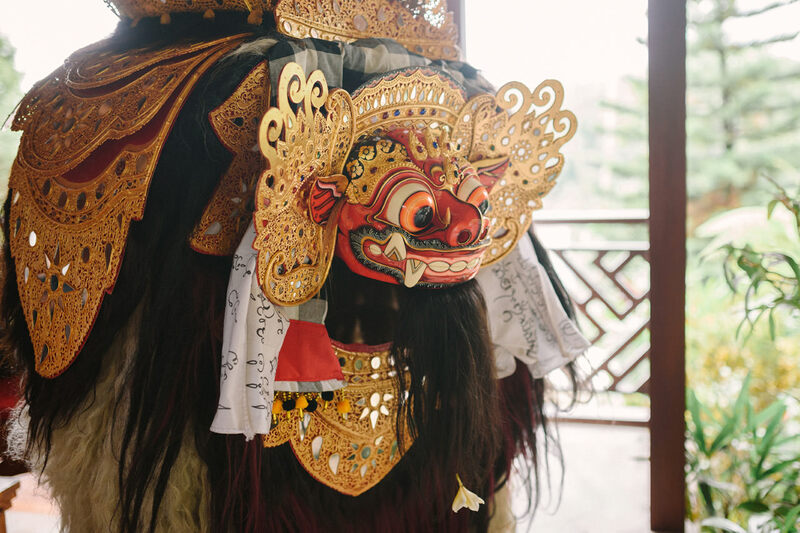 Luxury villas with stunning cliff top views over the ocean, lush evergreen rice fields in the backdrop or a beachfront wedding right on white sand, you name it – try finding that in the West or any larger Asian cosmopolitan city without going bankrupt! 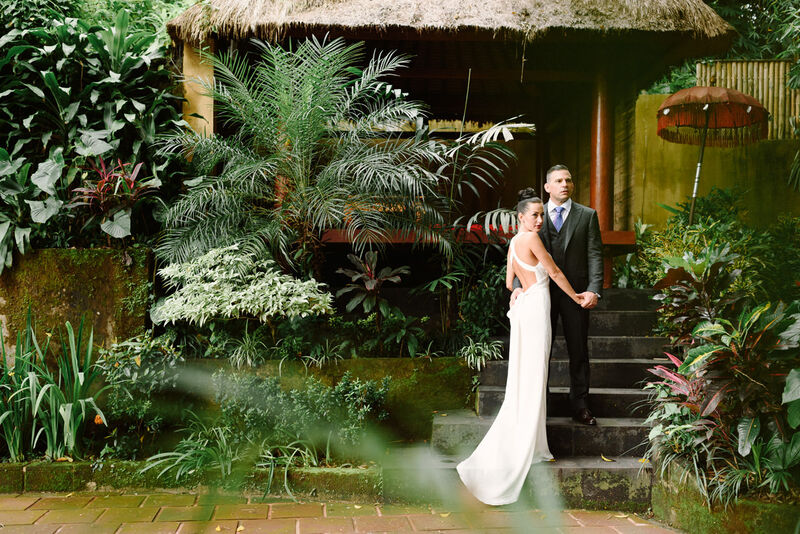 Contact Kupu-Kupu Barong Resort Ubud to plan your dream Destination Wedding in Bali.